OPSRRA No Dumping Sign Field Excursions – February 4 and 12, 2016. Illegal dumping of domestic, hunting and building waste in our communities of Otter Point, Shirley, and Jordan River in the Juan de Fuca Electoral Area (JDF-EA) has been an on-going problem for a number of years. A number clean-up efforts have been conducted in the past by students at Edward Milne Secondary School, various groups, and vigilant members of our communities, as well as many efforts made on the part of OPSRRA to raise greater attention to the problem with CRD. 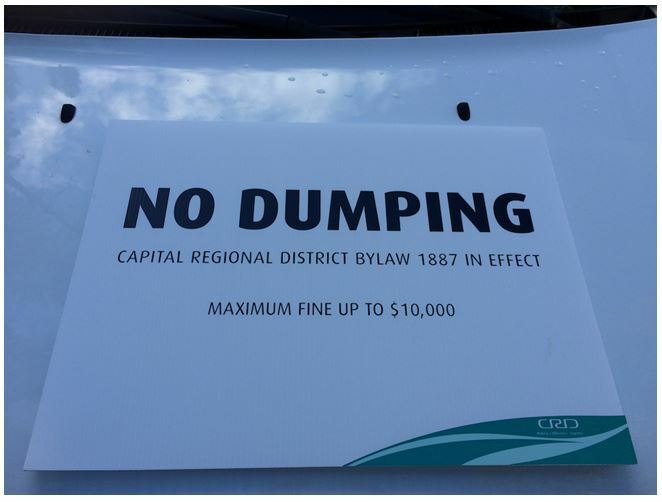 In January (2016), OPSRRA was informed by the JDF-EA Director that CRD By-Law Services had twelve “No Dumping” signs available for posting at illegal dumping sites around our three communities. The signs, comprised of corrugated plastic boards (2’ X 1.5′), read as pictured (right). 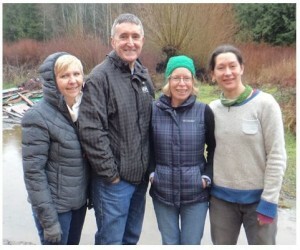 On the drizzly morning of Thursday, February 4, four members from the OPSRRA Board of Directors, including Marika Nagasaka, Debb Read Brenda Mark and Bill Dushenko conducted a field tour visit of known dumping areas in our communities. A priority list of eleven of the worst dumping sites and their locations were identified and photo-documented for these signs. The priority sites identified for signage included four in Otter Point, e.g., Demamiel Creek along a private road running east of the five-way intersection of Butler, Poirier and Young Lake Roads; and seven sites in Shirley and Jordan River, e.g., Muir Creek Bridge along West Coast Road (Shirley) and Fore Bay Road (Jordan River). 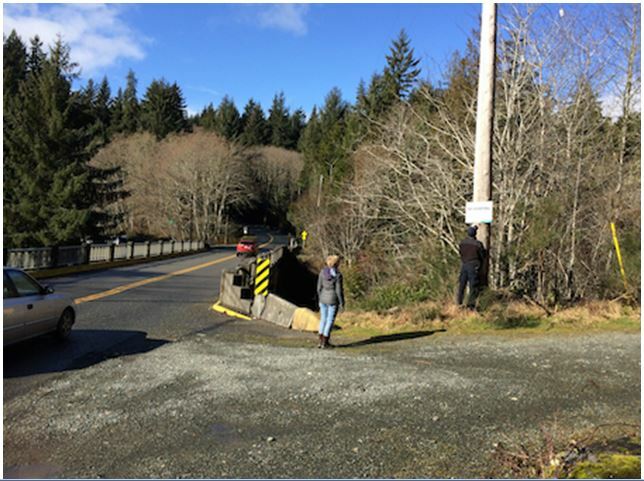 An old, small CRD No Dumping sign was also identified along the private road by Demamiel Creek in Otter Point which will also require replacing with a new one. Domestic waste including kitchen refuse, small household appliances and fixtures (photo credits – M. Nagasaka). Some of the refuse dumped at these sites included domestic waste (e.g., kitchen garbage, appliances, fixtures), commercial and building waste (e.g. wood, particle board, shavings and dry wall), and hunting waste (e.g., carcass and skeletal remains of a young bear, deer and other animals). It was also clear at dumping sites that wildlife are attracted and had ripped open discarded garbage bags and other containers, and dragged this refuse further into the bush. OPSRRA contacted the CRD Chief By-Law Services Officer, Don Brown, with the site information and arranged to have these signs posted at the designated locations in our communities. 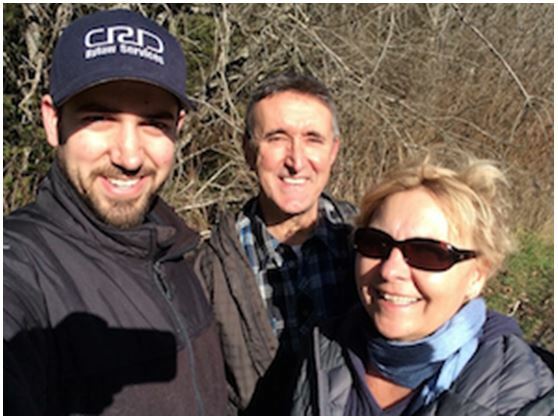 On the sunny morning of Friday February 12, two OPSRRA Board Members (Debb Read and Bill Dushenko) accompanied Andrew Freer, By-Law Officer with CRD, to guide and assist him with locating the sites and nailing them in place. The signs were nailed to trees in each of the areas. It is uncertain how long these plastic signs will last, as they may be eventually blow off in high winds or be easily removed by vandals. The wording on the signs is also difficult to see from a distance. It was felt that a more permanent solution may be needed, such as having metal signs securely attached to metal posts hammered into the ground. All of the priority illegal dumping locations identified were posted, with the exception of site number 11 (Farmer’s Rd. at Otter Point Rd.) and it is hoped that more signs can be posted here and at other sites in the future. OPSRRA, as a community organization, has also been invited by the CRD Director to put in a request for grant funding to the CRD in order conduct a cleanup of some of these dumping sites this spring. OPSRRA has discovered that the responsibility for clean up is unclear. For example, Mainroad South Island Contracting Ltd. under the authority of CRD will only clean up within one metre of any main road. As our Board has limited resources, we are requesting that anyone who would like to become involved and help organize this cleanup event please send an email to opsrra@gmail.com. Just a reminder to be very careful if you approach someone who is illegally dumping something. They KNOW that what they are doing is illegal, and they don’t want to be caught doing it. Take photos and description of the plates and people before you approach them, if you decide to that, post that info and call the police or municipality immediately. If you speak to them, let them know that the police have already been notified with their description. Be cautious, I have been threatened by people that I have come across illegally dumping when I have been riding in the back woods. 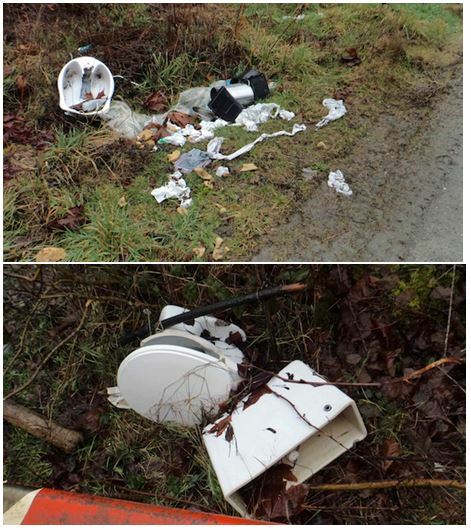 As cautioned above, if you do come across some illegal dumping activities, please immediately call the Sooke RCMP at 250-642-5241. OPSRRA would like to thank the Board members who took time to participate in the field activities, and CRD for their assistance in providing the signs and putting these in place in the field. Together, through our combined efforts, we can help make our community environments cleaner and free from illegal dumping and abandoned waste! I hope this in enforceable. It’s not, and it never will be. The only way to keep illegal dumping to a minimum is to keep disposal fees as low as possible. 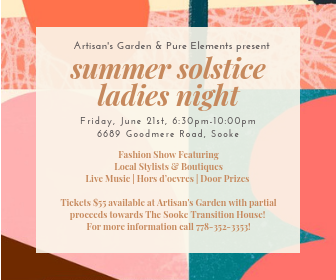 It cost me $30 to get rid of a couch here in Sooke, and I had to haul it down to Idlemore. Rd. That couch will have to travel 40 km to the dump in Central Saanich. A lot of people don’t have $30, or don’t want to pay it, and they will find other ways of disposing of it. And the odds of catching and prosecuting them is close to zero. So every time the CRD raises disposal fees, the problem gets worse.